The Dodge Journey offers optional built in child booster seats. They’re more crash worthy than an added child seat because of their direct attachment to the seat. Honda doesn’t offer the convenience and security of a built-in child booster seat in the Pilot. Their owners must carry a heavy booster seat in and out of the vehicle; Journey owners can just fold their built-in child seat up or down. Both the Journey and the Pilot have standard driver and passenger frontal airbags, front side-impact airbags, side-impact head airbags, front seatbelt pretensioners, front-wheel drive, height-adjustable front shoulder belts, plastic fuel tanks, four-wheel antilock brakes, traction control and electronic stability systems to prevent skidding. Dodge’s powertrain warranty covers the Journey 40,000 miles longer than Honda covers the Pilot. Any repair needed on the engine, transmission, axles, joints or driveshafts is fully covered for 5 years or 100,000 miles. Coverage on the Pilot ends after only 5 years or 60,000 miles. There are almost 3 times as many Dodge dealers as there are Honda dealers, which makes it much easier should you ever need service under the Journey’s warranty. The camshafts in the Journey’s engine are driven by a hardened steel chain, with no maintenance needs. The Pilot’s camshafts are driven by a rubber belt that needs periodic replacement. If the Pilot’s cam drive belt breaks the engine could be severely damaged when the pistons hit the opened valves. The battery on the Journey is in the front fender, which protects it from hot underhood temperatures, which can degrade battery life. By keeping the Journey’s battery 20 to 30 degrees cooler, its life is increased by years. The Pilot’s battery is in the hot engine compartment. The Journey’s optional 3.6 DOHC V6 produces 33 more horsepower (283 vs. 250) and 7 lbs.-ft. more torque (260 vs. 253) than the Pilot’s 3.5 SOHC V6. The Journey’s optional tires provide better handling because they have a lower 55 series profile (height to width ratio) that provides a stiffer sidewall than the Pilot EX/EX-L/Touring’s 60 series tires. For better ride, handling and brake cooling the Journey offers optional 19-inch wheels. The Pilot’s largest wheels are only 18-inches. For a smoother ride and more stable handling, the Journey’s wheelbase is 4.6 inches longer than on the Pilot (113.8 inches vs. 109.2 inches). 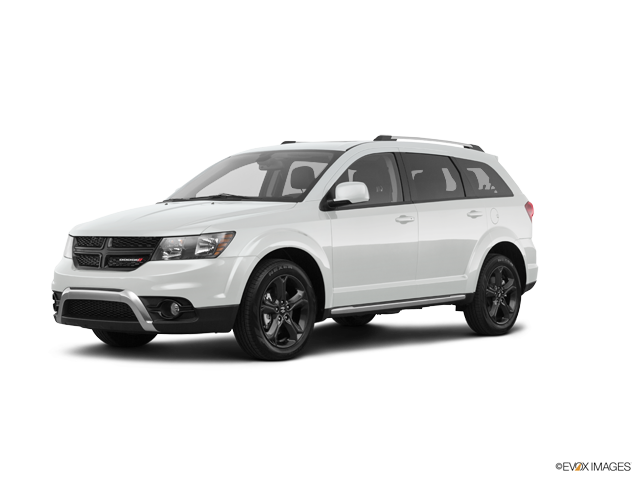 The Dodge Journey may be more efficient, handle and accelerate better because it weighs about 350 to 500 pounds less than the Honda Pilot. The Journey is 6.3 inches narrower than the Pilot, making the Journey easier to handle and maneuver in traffic. The Journey has .8 inches more front headroom and .1 inches more rear headroom than the Pilot. For enhanced passenger comfort on long trips the Journey’s middle and third row seats recline. The Pilot’s third row seats don’t recline. The Journey (except AVP) offers a remote vehicle starting system, so the vehicle can be started from inside the driver's house. This allows the driver to comfortably warm up the engine before going out to the vehicle. The Pilot doesn’t offer a remote starting system. The Journey’s instruments include an oil pressure gauge and a temperature gauge –, which could save your engine! Often ‘idiot lights’ don’t warn you until damage has been done. The Pilot does not have an oil pressure gauge. The power windows standard on both the Journey and the Pilot have locks to prevent small children from operating them. When the lock on the Journey is engaged the driver can still operate all of the windows, for instance to close one opened by a child. The Pilot prevents the driver from operating the other windows just as it does the other passengers. Keyless Enter-N-Go standard on the Journey allows the driver to unlock the doors, cargo door and start the engine all without removing a key from pocket or purse. This eliminates searching for keys before loading groceries, getting in the car in bad weather or making a hurried start to your trip. The Honda Pilot doesn’t offer an advanced key system. The Journey’s standard outside mirrors include heating elements to clear off the mirrors for better visibility. Honda only offers heated mirrors on the Pilot EX 4WD/EX-L 4WD/Touring 4WD. The Journey has a standard center folding armrest for the middle row passengers. A center armrest helps make middle row passengers more comfortable. The Pilot LX doesn’t offer a middle row seat center armrest.